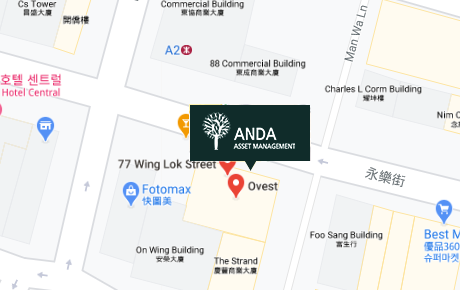 Welcome to ANDA Asset Management Co., Ltd.
We are Korea’s premier boutique investment management firm providing bespoke investment services to some of the world’s largest and leading global institutional investors, including university endowments, financial institutions, public pensions, family offices and accredited high net worth individuals. We are 100% owned by our employees and at the core of our firm’s principal is absolute integrity and a belief that our client’s interests come first. Everything we do is geared towards our client’s investment success. Our name speaks to our investment philosophy. We want to be "Aligned," "Networked," "Dedicated" and "Agile," all in order to support our long–term relationships with our clients, our employees and other partners. We take pride not in the size of our AUM but the quality and the depth of trust investors have placed in our investment and business philosophy over the years. The driving force behind our success has been our intense research-driven culture. We have built one of the largest research analyst pools among Korean advisory firms and believe that our in-depth research approach is unique in Korea. The keys to our success are the same today as they were for me when I began managing money over 20 years ago: a focus on fundamental, bottom-up research, a consistent investment process, a commitment to generating superior long-term risk-adjusted returns and providing exceptional service to our clients across the globe. focused exclusively on Korean equities. The Value strategy looks for deeply undervalued stocks listed in Korea that in the medium to long term will see significant capital appreciation as the market catches up in recognizing the company's intrinsic value characterized by a strong management team, with a robust business model and sustainable strategy that is backed up by strong financial fundamentals and good corporate governance. The fund is intended for investors with longer term investment horizons, and generally comprises of 25-40 stocks at any one time. The strategy offers flexibility to invest across the entire market capitalization spectrum with ANDA opportunistically tilting the portfolio toward the most promising segments. Although there is no limitation on the type of companies ANDA can invest in, it is expected the team will pay more attention to under-followed stocks, and stocks whose valuations are low in relation to their growth prospects. The strategy is long biased due to the tailwind of structural growth in Asia but the team may utilize index derivatives and engage in short selling of individual stocks for hedging and portfolio management purposes. T​he absolute mandates seek active return through a diversified portfolio of equity and equity-linked securities in Korea. The portfolio generally comprises of 30~50 positions with a 1+ year investment horizon. The strategy focuses on those companies​ with strong historical financials, strong management and attractive valuations based on a history of consistent performance and takes strong account of growth opportunities​ in the industry and business. The absolute mandates are long biased due to the tailwind of structural growth in Asia but the team may use index/futures and/or options for hedging and portfolio management purposes. These mandates are not limited or restricted by constraints such as investment style, index weightings, cash levels or market exposure and invests in the Korean market on an absolute multi-cap basis. The index-aware mandates seek to add modest excess return relative to the benchmark through a highly diversified portfolio of equity securities in Korea. The portfolio generally comprises of 40~70 stocks with a 9 to 12 month investment horizon, although some holdings have a longer time horizon. The product maintains lower variability around the benchmark and cash levels of less than 10%. ​These mandates are not limited or restricted by constraints such as investment style, index weightings and invests in the Korean market on an absolute multi-cap basis. The Multi-strategy seeks superior risk-adjusted absolute returns with low volatility through rigorous stock selection approach based on a fundamental active management style focused on independent on-the-ground due diligence and research. We have identified structural, market and domestic inefficiencies to capture alpha across several sub-strategies: Special situations, Event-driven, Equity value and Convertibles. The strategy is not limited or restricted by constraints such as size, market direction, index relative performance or maximum cash level requirements and can therefore pursue value-added strategies with conviction. 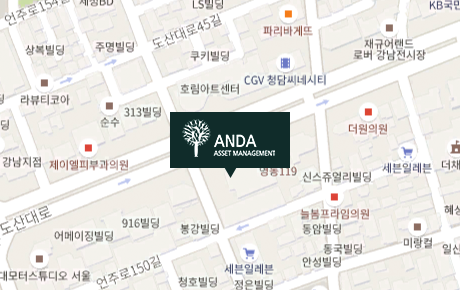 ANDA Hong Kong is a wholly-owned subsidiary of ANDA Asset Management Co., Ltd. of Korea. ANDA Hong Kong was established and licensed in 2017. ANDA Hong Kong has five professionals, three of whom are active portfolio managers for Asia-focused strategies. The firm is licensed by the Hong Kong Securities and Futures Commission (Types 4 and 9). The ANDA Hong Kong team follows the same principled, research based investment approach followed by its parent company seeking out undervalued, undiscovered markets and stocks throughout the Asia pacific region. The firm works closely with the Seoul team to provide seamless insight and research and stock ideas and portfolio selection expertise to institutional and high net worth clients throughout Asia. The ANDA Asia Concentrated strategy seeks long-term capital appreciation through a portfolio of global equity and equity-linked securities with an Asia-bias. Asia Concentrated The ANDA Asia Concentrated strategy seeks long-term capital appreciation through a portfolio of global equity and equity-linked securities with an Asia-bias. The key investment tenets are concentration, benchmark and style agnostic, and low portfolio turnover. The team scours the global equity universe in search of value creators, compounders, leaders and disruptors with the aim of investing in a selected group of companies that have strong and incentivized management, a long runway for growth, sustainable advantages and strong defensible moats. The process favors fast growing and innovative companies. The strategy is not limited or restricted by constraints such as investment style, geography, benchmarks, cash levels, or market exposure. The ANDA Asia Growth strategy seeks long-term capital appreciation from investments in companies with a strong growth profile listed within the Pan-Asia (Ex-Japan, Ex-Korea) region. Although there is no limitation on the type of companies the fund can invest in, it is expected that the team will pay more attention to growth companies, especially companies which demonstrate market leadership within their industry and whose earnings are expected to grow at a faster pace than other companies. To identify whether a company is likely to sustain growth, the team focuses on a company’s business model, core competency, and the industry dynamics. Security selection is based on bottom-up fundamental analysis. Research is primarily conducted in-house, company visits and access to corporate management are important, with over 200 company visits on regular intervals with constant gap analysis conducted each year. The ANDA Aisa Multi-Strategy seeks superior risk-adjusted returns with low volatility through an active management style focused on independent on the-the-ground research across the Pan-Asian (Ex-Japan) region. The Fund invests across multiple asset classes, consisting of four core strategies: equity value, convertibles, event-driven and special situations. Capital allocation is dynamic and is determined by evaluating what we believe are the best market opportunities consistent with the fund’s goal of producing stable compounded returns with less directional exposure to equity markets. Although quantitative screenings and analysis is used, the fund uses a fundamental, bottoms-up, research-based investment style across all of its core strategies. The Fund is not limited or restricted by constraints such as market cap, market direction, index relative performance or maximum cash level requirements and can therefore pursue value-added strategies with conviction. The United Nations Principles for Responsible Investment (UN PRI) is the world's leading proponent of responsible investment. PRI works to understand the investment implications of environmental, social and governance (ESG) factors and to support its international network of investor signatories in incorporating these factors into their investment and ownership decisions. The PRI principles are based on international conventions and are targeted to corporate investors. The six Principles for Responsible Investment are a voluntary and aspirational set of investment principles which we incorporate into our PRI policy to assist us in incorporating ESG issues into our investment practice. ANDA has been a signatory since 2016 and fully supports the six PRI principles articulated by a brief synopsis of how we incorporate ESG in our investment process below. 01. We incorporate ESG issues into investment analysis and decision-making processes. Our financial analysts continue to be trained in the incorporation of ESG issues and where appropriate, we engage with management and participate in proxy voting. These responsibilities are incorporated into our investment process and are summarized in our Policy. Research notes include an ESG section and where available and appropriate, analyzes a company’s ESG performance. We vote at AGMs, provide transparency over our voting recommendations and decisions and track the impact of engagement, which is recorded in our in-house database. 03. We seek appropriate disclosure on ESG issues by the entities in which we invest. Whenever possible, our analysts actively engage with companies to encourage greater transparency and discuss collaborative initiatives to improve disclosure standards. We will provide company research aimed at educating clients on socially responsible investments and collaborate with other investors to promote and develop ESG principles and practices. We actively participate in industry networks such as the Institutional Shareholder Services (“ISS”) and the Korean Corporate Governance Service (“KCGS”) to effectively implement the PRI principles. 06. We will each report on our activities and progress towards implementing the principles. As a signatory to the Korea Stewardship Code, ANDA Asset Management believes that companies should manage their operations in the best interests of shareholders. Adoption of the Korea Stewardship Code is consistent with our investing philosophy and reflects our commitment to enhance investment return for our clients by improving corporate value and long-term growth. In accordance with the Code’s requirements to disclose how ANDA proposes to adhere to its stewardship responsibilities, we set forth the following statement. Institutional investors, as a steward of assets entrusted by their clients, beneficiaries, etc, to take care of and manage, should formulate and publicly disclose a clear policy to faithfully implement their responsibilities. ANDA Asset Management’s financial analysts are trained in the incorporation of ESG issues and we support the Code by engaging with management and actively advising on and participating in proxy voting. These responsibilities are incorporated into our investment process and summarized in our Policy. Our Policy is available here. Institutional investors should formulate and publicly disclose an effective and clear policy as to how to resolve actual or potential problems arising from conflicts of interest in the course of their stewardship activities. We have outlined our approach to managing conflicts of interest in ANDA’s Compliance Manual and ANDA’s Proxy Voting Policies, which are summarized in Part 2A of ANDA’s Form ADV. ANDA recognizes that there may be times when meeting agendas or proposals create a material conflict of interest or the appearance of a material conflict of interest. ANDA constantly strives to adhere to best industry practice to avoid conflicts of interest and to take these into consideration in the implementation of its management, investment and compliance policies. Institutional investors should regularly monitor investee companies in order to enhance investee companies’ mid- to long-term value and thereby protect and raise their investment value. ANDA takes an active approach in addressing corporate governance in fulfilling its fiduciary duties. Our analysts and portfolio managers regularly monitor the companies in which we invest by focusing on alignment of interests between the investee company’s management and shareholders. Continuous comprehensive research and engagement with investee companies are important characteristics of our investment philosophy. ANDA considers a variety of resources including company reports and press releases, third-party research, and independent proxy voting advisor reports and recommendations. While institutional investors should aim to form a consensus with investee companies, where necessary, they should formulate internal guidelines on the timeline, procedures, and methods for stewardship activities. ANDA seeks to engage constructively with investee companies to ensure that they are pursuing the strategies and processes that reflect the best interest of shareholders. We conduct ongoing monitoring and aim to help promote long term sustainable growth. Additionally, we seek to enhance corporate governance at investee companies through proxy voting. Institutional investors should formulate and publicly disclose a voting policy that includes guidelines, procedures, and detailed standards for exercising votes in a faithful manner, and publicly disclose voting records and the reasons for each vote so as to allow the verification of the appropriateness of their voting activities. ANDA seeks to discharge its responsibilities under the Korea Stewardship Code by means of the implementation of a clearly defined voting policy, which is available here. We endeavor to take all reasonable steps to vote proxies in the best interests of clients, applying prevailing best practices, codes and standards of corporate governance. We disclose our voting activity to the extent required by the applicable regulatory authorities and provide our clients periodic updates on our voting activities as required in the respective client agreements or upon client request. Institutional investors should regularly report their voting and stewardship activities to their clients or beneficiaries. We keep records of our proxy voting activity. We disclose our voting activity as detailed in our statement regarding Principle 5, above. We also provide our clients periodic updates on our voting activities as required in the respective client agreements. Institutional investors should have the capabilities and expertise required to implement stewardship responsibilities in an active and effective manner. ANDA’s investment team endeavors to develop an in-depth knowledge of investee companies. ANDA uses many external resources to deepen its knowledge of business and governance practices at investee companies, including daily market news, proxy voting research and external corporate governance sources. 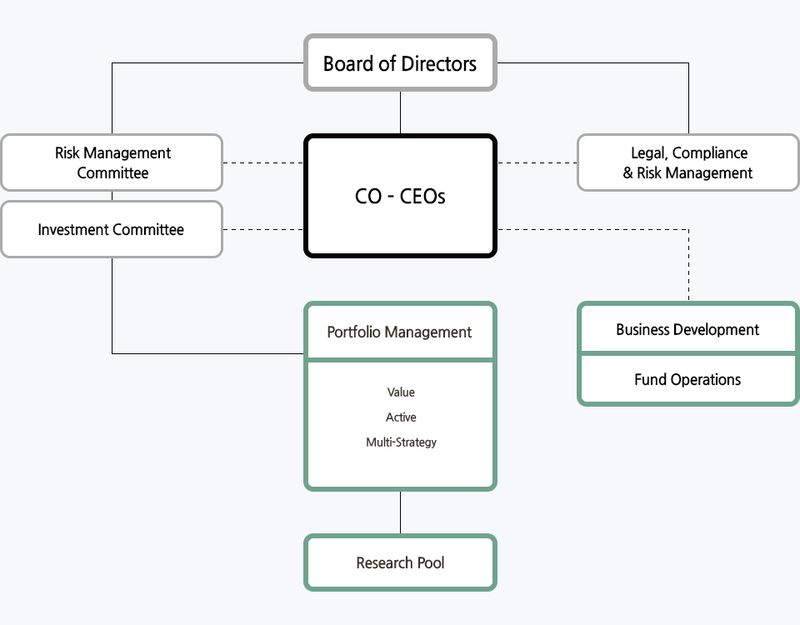 ANDA’s management team, comprised of its senior officers including certain portfolio managers, ultimately oversees the firm’s governance activities.